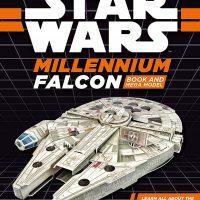 The only thing more fun than reading all about the ship that made the Kessel Run in less than twelve parsecs is building your own model of it, and you can do both with the Star Wars: Millennium Falcon Book and Mega Model. 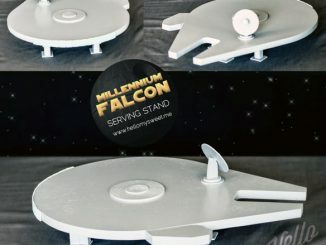 Once constructed, the model, which is made of sturdy foam, measures about 12 inches by 12 inches. 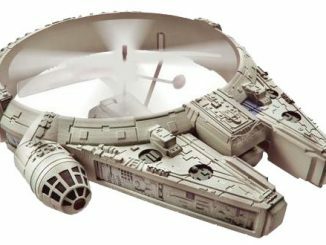 It features movable cannons and radar dish, and it even has removable panels so that you can look inside. 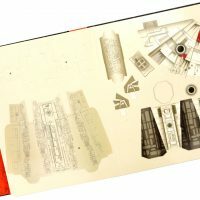 Read about and build the fastest ship in the galaxy with this out-of-this-world book and model! Learn the ins and outs of the Millennium Falcon, and then build your own sturdy foam mega model and become a part of this interplanetary adventure. 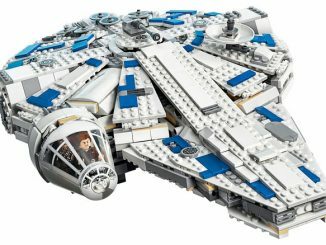 When built, the model measures 12″ x 12″. 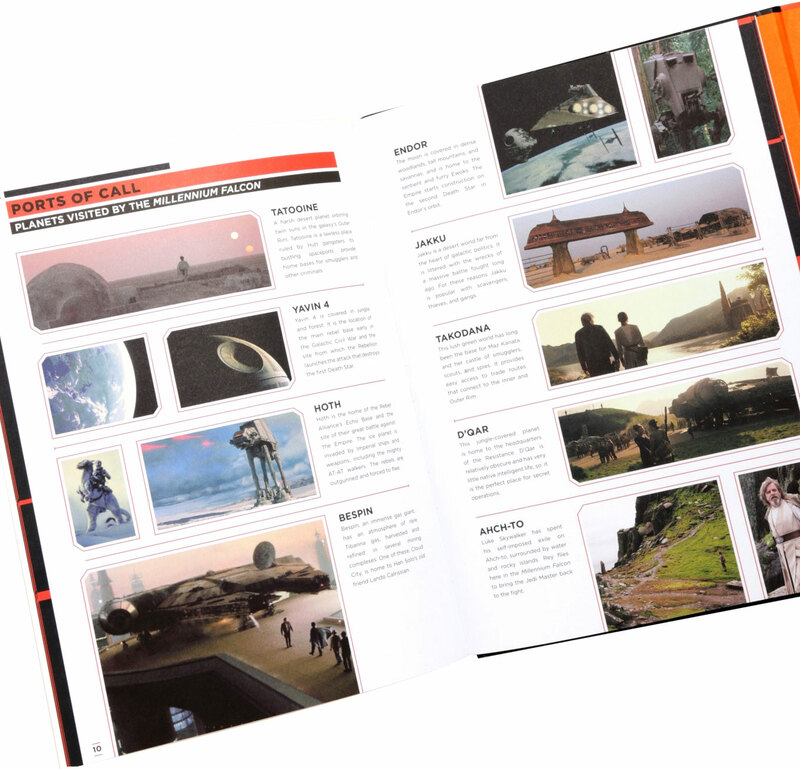 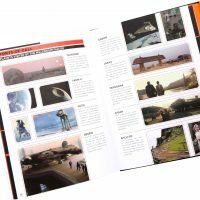 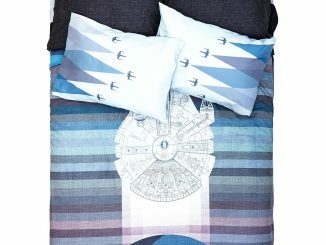 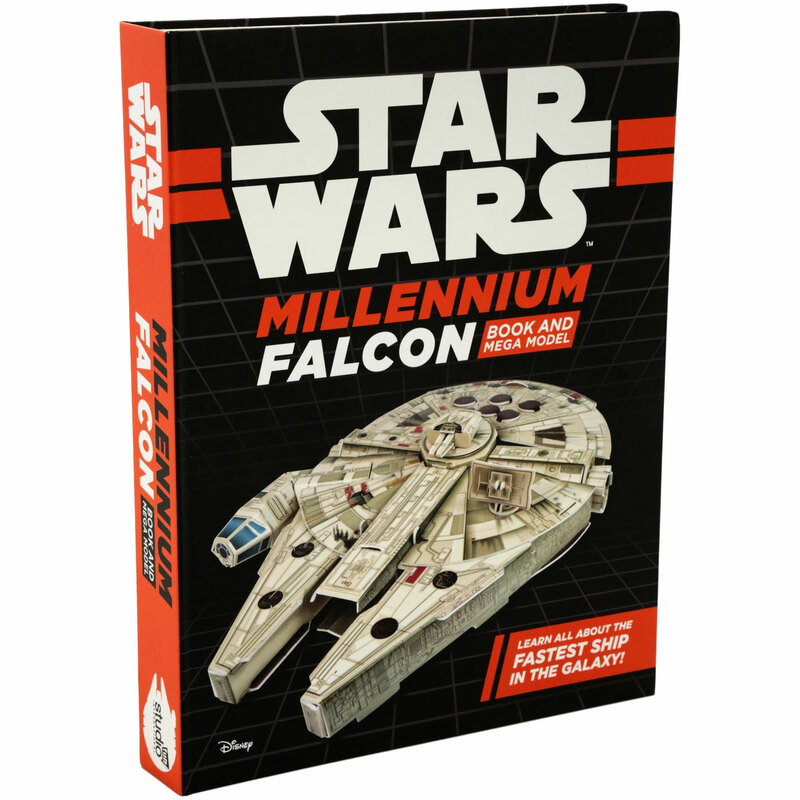 Jump aboard the fastest ship in the Star Wars galaxy with this amazing book and model to make of the Millennium Falcon! 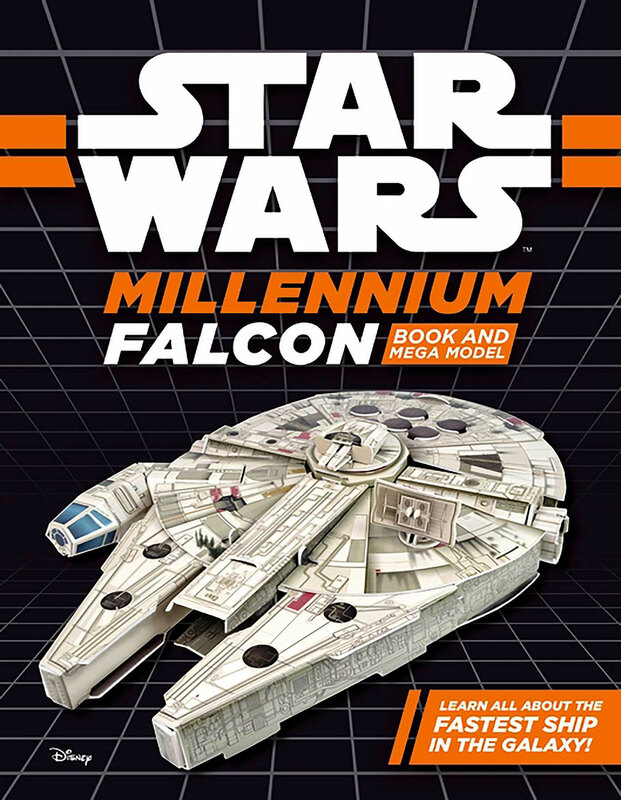 Join Han Solo and his co-pilot Chewbacca for an adventure in this book filled with fun facts, character profiles, ship schematics and story moments from across the entire Star Wars saga. 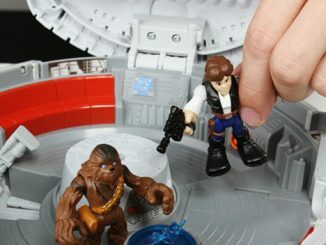 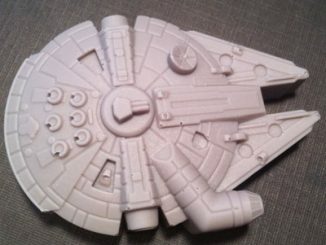 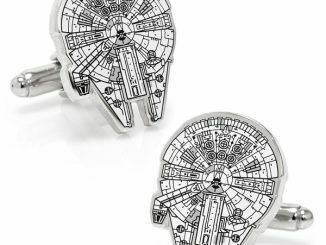 Press out the pieces to build the Millennium Falcon – with no glue required! 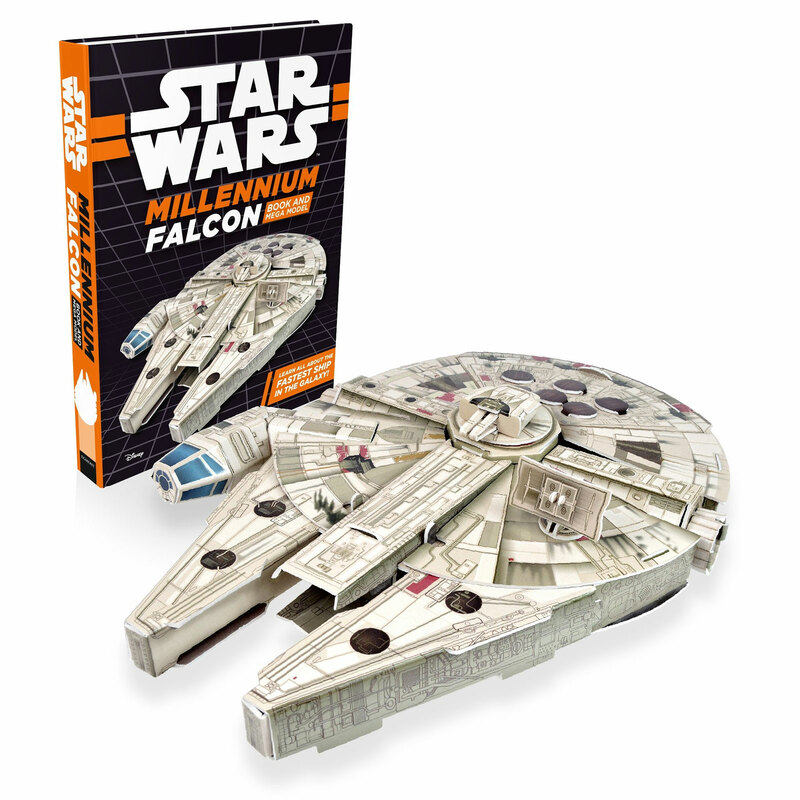 When fully built this model is approximately 30cm x 30cm and has moveable cannons and radar dish. 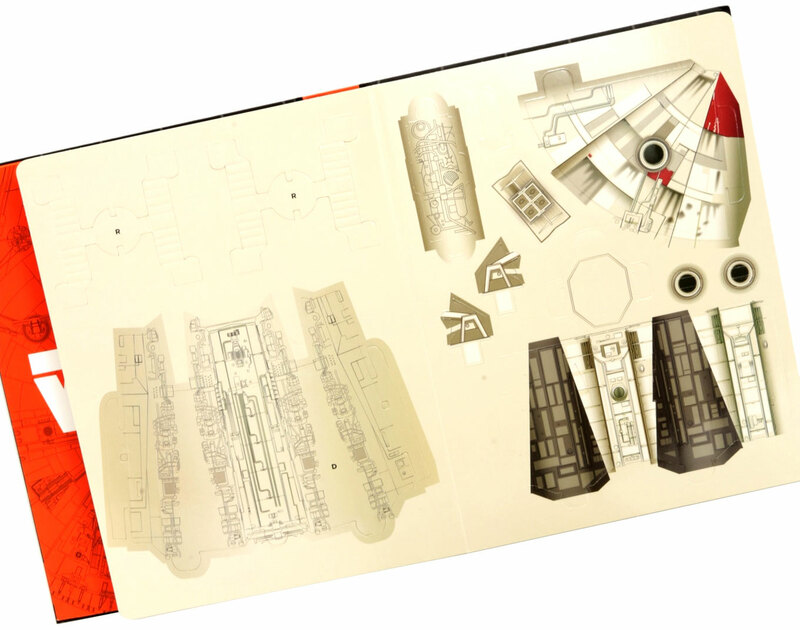 Removable panels allow you to look inside to find out more about this famous freighter. 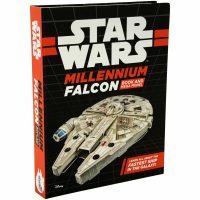 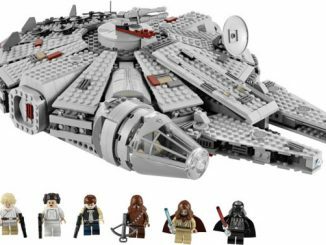 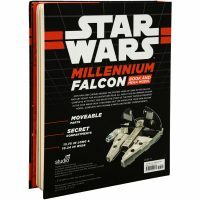 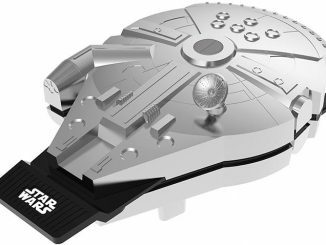 This Star Wars: Millennium Falcon Book and Mega Model is available for $13.99 at Walmart. 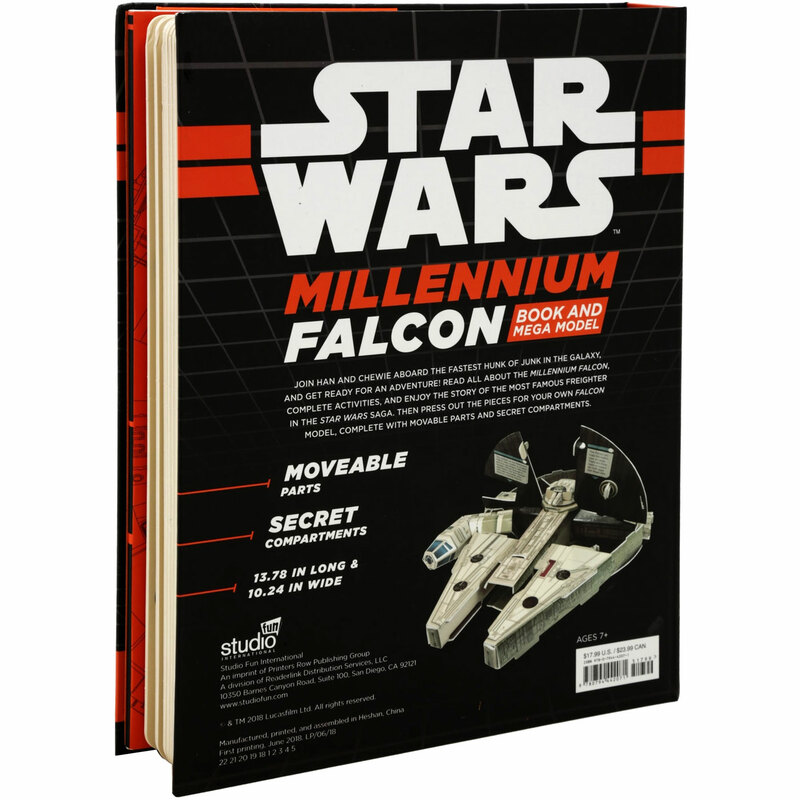 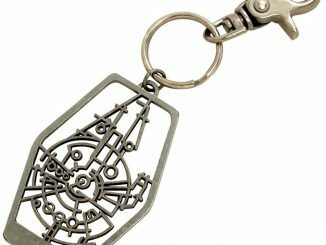 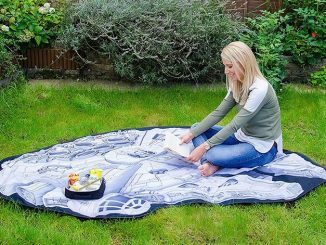 You can also find it at BoxLunch, Amazon, and WHSmith.